Fuad Alakbarov’s latest project was inspired by “Humans of New York”, a photographic census of New York City by photographer and blogger Brandon Stanton. “I called it ‘World Submarine’ because a submarine can go everywhere, has access to all roads,” Fuad said. 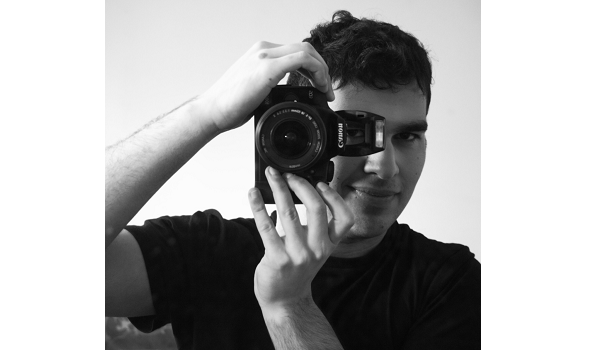 Fuad, originally from Azerbaijan and now living in Scotland, is a political commentator, human rights activist and photojournalist. Photography has always been a great passion, he explains, first as an amateur, then as a professional. His Facebook page is full of his photos, including a preview of “World Submarine”. He’s interviewed 40 people so far from very different backgrounds for this most recent project: from high fliers such as the Scottish Cabinet Secretary for Justice Humza Yousaf and the human rights lawyer Aamer Anwar, to more ordinary people, such as students, street artists and men and women from all walks of life. They include both Britons and migrants from a variety of countries – Croatia, Mexico, Spain, the Caribbean, Greece, Ireland, Azerbaijan and the US, to name a few. Most are friends of his. The format of the project is the same as Stanton’s, with each photo accompanied by a quote from the interview with that person. All of the images are black and white, which Fuad believes makes them “more powerful” for this particular project. Fuad’s life in Scotland began when he was very young, when he moved with his family from Azerbaijan. Fuad has worked extensively in human rights advocacy for refugees and in anti-racism and anti-poverty campaigns. In 2015, together with a few activists, he created the “Europe sees Syria” campaign to raise awareness about the European refugee crisis. He is a strong opponent to the death penalty, and was opposed to the invasion of Iraq, the war in Afghanistan, and the NATO-led military intervention in Libya. From 2014 to 2017 he was an active participant in the “Stop the War Coalition”, “Glasgow Refugee, Asylum and Migration Network” (GRAMNet) and “Glasgow Campaign to Welcome Refugees”. Currently he is a member of a cross-party group on racial equality in the Scottish Parliament. Fuad got in touch with Migrant Voice some years ago. Recently he participated in the “Changing Lenses: Glasgow Stories of Integration” project and he found its photography workshops “very useful in terms of gaining new skills”. Fuad hopes to complete the “World Submarine” project by May 2019, after which all of the photos and accompanying quotes will be exhibited in Glasgow.